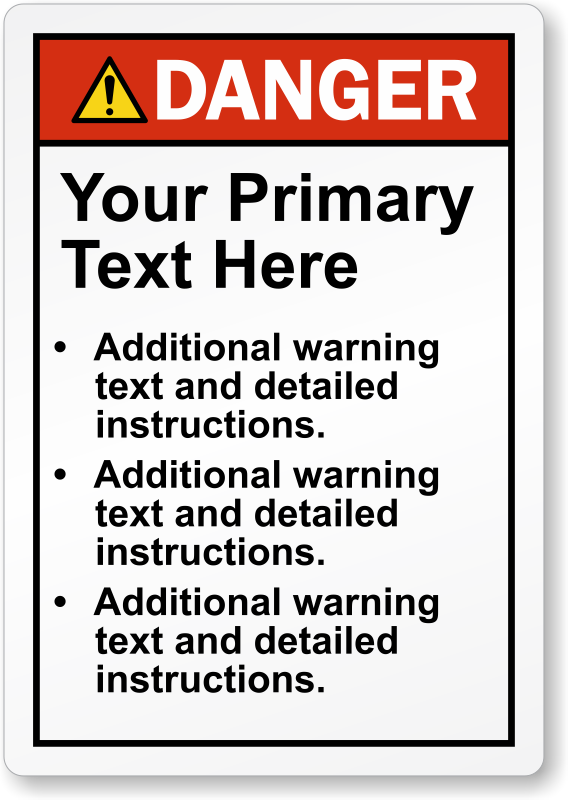 Custom ANSI Danger Label can be personalized with your targeted message. Bold header and font grabs attention. Apply the label on a machine or wall.